Most Christian households have at least one Hillsong album in their music collection, be it from Hillsong Live, Hillsong United, Hillsong London, Hillsong Acoustic, or Hillsong with no drums or even Hillsong with only one guitar. (Some of these might not really exist). Now the worship ministry has another section and sound with Hillsong Young & Free which releases it's first album We Are Young & Free soon. "Young & Free is more than a label, it is also our message and mission," shares Laura Toggs, team leader for Young & Free. Read More Most Christian households have at least one Hillsong album in their music collection, be it from Hillsong Live, Hillsong United, Hillsong London, Hillsong Acoustic, or Hillsong with no drums or even Hillsong with only one guitar. (Some of these might not really exist). "This is a generation called to stand strong in their youth and in their freedom, refusing to allow others to dismiss them for their age. Songs arising from Young & Free are unlike anything that we have ever done before, and we believe that through them young people will find life and deep, unending joy in Jesus. We are the voice of THIS generation." From the moment this album bursts into life with the track 'Brighter' you feel the energy coming out of every pore of the album. This brilliant album sounds fresh, exciting and joyful. The modern dance pop vibe continues with the ever so catchy Alive. Once you hear this song I'm sure you will be joining in and singing "You are, you are, you are my freedom, we lift you higher, lift you higher, your love is never ending, ohh ohh". This is an album you just have to turn up loud and press repeat. The pounding beat and bass of Wake gradually builds into a brilliant uplifting song that just grows and grows into an epic dance track. If you thought the intensity of the first few tracks was something else, then once you hear the track Lifeline it will take you to a whole new level. The album takes a small rest with the track Close, which drops the tempo down a little but still keeps the modern sounds going in the background. I love the lines "I want to be close to you... there is nothing in this world, that compares to all you are" - so heartfelt, and this really comes over with the music. Tracks like Gracious Tempest and End of Days do sound like they could have featured on the Hillsong United album Zion, think synths and atmospheric music with a brilliant drive and you will get what these songs sound like. The album moves back to how it started with Back to Life and In Sync, the uptempo tracks just burst out of the speaker like a wave of pure dance worship. I think I found myself enjoying this album more than I have enjoyed an album for a long time. Hillsong Young & Free has been described by some as Hillsong music for people who like One Direction. I think this is a little harsh, and this album is more than just that, it's worship music for people who enjoy modern contemporary chart music. And if it does sound at times a bit One Direction, then so be it, at least worship music isn't stuck in one style and can still sound modern and forward thinking. I might be 30, and not so young anymore, but I still liked this album - actually I loved this album. Shouting out or dancing along in worship to God with the songs on this album is just brilliant fun. The album feels fresh and modern, and I'm all for worship music being taken out of a stylistic box. 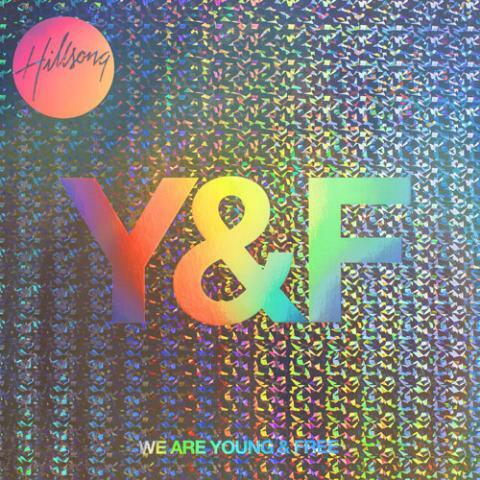 Hillsong Young & Free is a brilliant, fresh addition to the Hillsong family. It's like the younger brother, who dresses a bit more cool, likes to play loud music, and has too much energy.